The Chesapeake & Ohio's Fast Flying Virginian did not begin life as a streamliner but actually dated back to the late 19th century. For many years the F.F.V., as the train was also known, was the C&O's flagship run between Washington, D.C. and Cincinnati, Ohio. However, as the streamliner era hit in the 1930s the train was eclipsed by the George Washington, which soon became the C&O's most popular among its fleet. As with the George, the F.F.V offered guests incredibly scenic views of eastern Virginia and southern West Virginia on its daytime run through the Shenandoah Valley and Appalachian Mountains. In the 1940s the train was streamlined although received no new equipment after that time. The F.F.V. remained in service until the late 1960s when it was finally canceled after the U.S. Postal Service cancelled mail contracts for the entire railroad industry. The C&O's Fast Flying Virginian was the railroad's first full-service named train when it entered service on May 11, 1889 as #3 (westbound) and #6 (eastbound). Interestingly, the train did not operate across the entire C&O system as one might expect (a la, from its eastern terminus of Norfolk, Virginia) but instead departed Washington, D.C.'s Union Station on its way to Cincinnati. Since the C&O did not serve the nation's capital directly the F.F.V. operated over trackage rights on the Southern Railway between there and Charlottesville, Virginia. If passengers so chose they could also take connecting trains on the Pennsylvania Railroad from D.C. to Northeastern cities such as Philadelphia and New York. The Chesapeake & Ohio, "George Washington's Railroad"
At the time of the F.F.V. 's inauguration only a handful of railroads offered very luxurious, named trains which did not become readily common until the streamliner era of the 1930s. 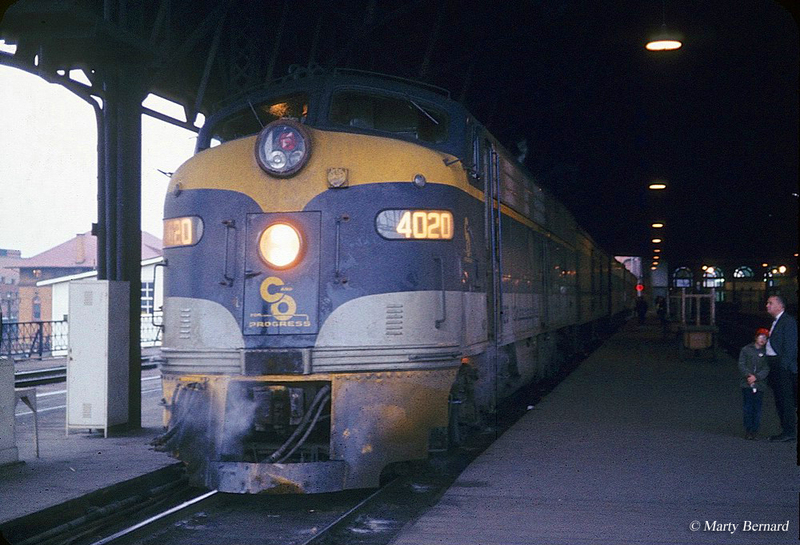 Additionally, while the C&O is historically remembered for its classic paint scheme of blue, yellow, and gray the railroad adorned the F.F.V. in a maroon and orange livery. After heavyweight cars began common after 1910 the railroad updated the train to such and continued to offer it with full Pullman service. It also began assigning either its F Class 4-6-2 Pacifics or J Class 4-8-2 Mountains to power the train. While not streamlined in any way the locomotives were quite handsome nonetheless. The Fast Flying Virginian's consist during the streamliner era came thanks to the C&O's management during the early 1940s. In 1942 the railroad gained a new chairman named Robert R. Young who firmly believed in providing top notch passenger rail service, as did the company's board of directors at the time. As such it was not long before the C&O was ordering new cars to completely reequip its fleet with some names like the George Washington and Sportsman relatively new runs that had only debuted in 1930. Beginning in 1944 the railroad ordered 14 cars from Pullman-Standard for its Michigan series (it had gained control of the Pere Marquette in the 1920s), and two years later ordered 46 cars from the Budd Company as well as 287 from Pullman to completely update its fleet. While the C&O cancelled part of its order for these cars the remainder arrived on the property beginning in 1950. 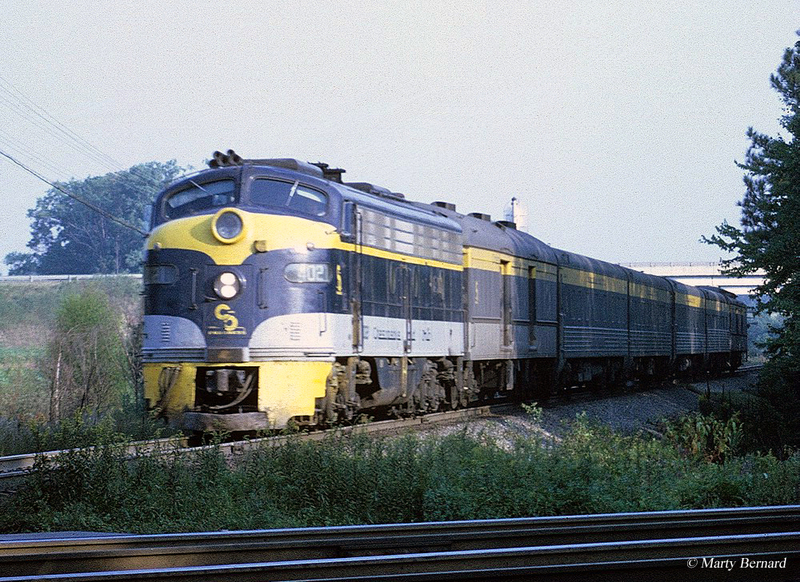 Along with the new cars in the late 1940s the C&O began purchasing new cab units from the Electro-Motive Division including E7As, E8As, and later FP7s in the early 1950s. The new trains came equipped with the latest features such as air-conditioning, spacious seating, and fine dining. 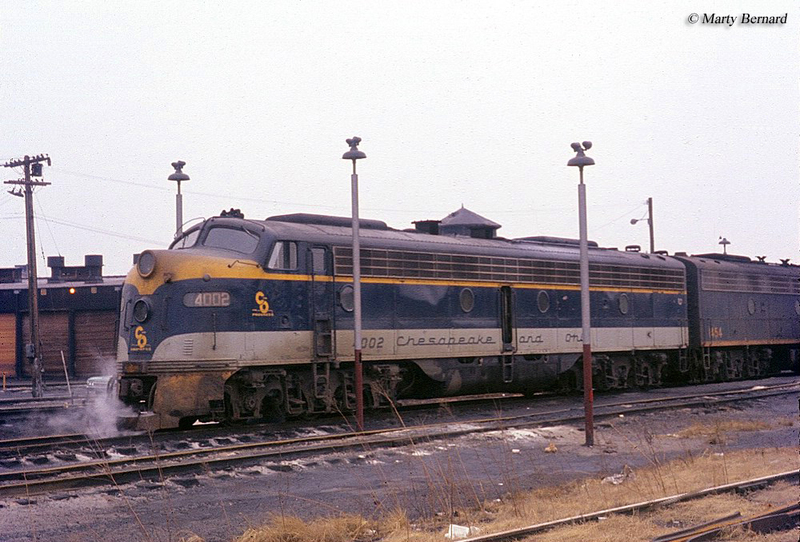 Additionally, it was around this time that the railroad debuted its elegant new livery of deep blue, yellow/gold, and grey. Despite the fact that the F.F.V. (as it was known in later years by the railroad, which completely dropped its formal name) had stops between Cincinnati and D.C. at Alexandria (Virginia), Charlottesville, Charleston, (West Virginia), Huntington (West Virginia), and Ashland, Kentucky it could complete its daily run in about 16 hours averaging roughly 35 mph.